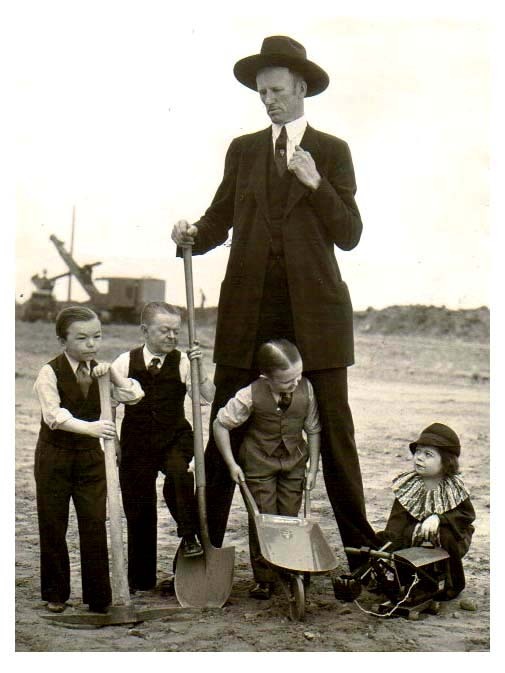 Tex Madsen, one of America's Tallest Men, is shown watching the ground breaking. All stories are the property of Sideshow World, Sideshow Performers from around the world. & their respective authors. Any republication in part or in whole is strictly prohibited. For more information please contact us here.